When you think of lying on a beach on a tropical island somewhere in the Caribbean, you would be hard-pressed to not also think about the spirit with which this goes hand in hand. It’s that necessary accessory to put a bite in your piña colada. That wonderful little spirit that turns a common Coca-Cola into a delicious cocktail. That delightful kick in the rum cake. For us beach bums, rum is as important as sunscreen when hitting the sand and surf. Rum is made from either sugar cane, sugar beets, or molasses, so it typically has a sweeter profile than other liquors, which is why it’s usually associated with tropical drinks and flavors. However, there is so much more to rum than just throwing it into a Coke or piña colada mix. But before we get into the nitty-gritty, to truly appreciate rum, you should know the tumultuous and storied past of rum in the Caribbean. Everyone knows the legend of how Christopher Columbus mistakenly discovered the West Indies, but what happened over the subsequent five centuries has left a distinct mark on the region. Each island in the Caribbean has a flavor all its own and one that is influenced by the island’s colonial legacy. While no two islands in the Caribbean are the same, they are all united by a certain spirit that combines island life with “Old World” and “New World” flavors. Rum was first distilled in the early 1600s by colonial sugar producers and their slaves in the Caribbean, who found that the byproduct from the sugar refining process could be fermented to create alcohol. As the spirit grew in popularity and the demand for sugar increased around the world, the islands of the Caribbean found themselves at the center of political, social, and economic debates and power struggles. Rum has also long been associated with the seafaring spirit of the Caribbean, as it was a valuable commodity to buccaneers and pirates and became the official spirit of the British Royal Navy in 1655. Evidently, a little less than a pint of Jamaican rum was issued to each man every day. And doctors tell us we drink too much …. Evidently, a little less than a pint of Jamaican rum was issued to each man every day. And doctors tell us we drink too much …. Today, rum in the Caribbean not only represents the region’s distinct heritage, but it also has come to symbolize the island way of life that is specific to the Caribbean and the reason that so many visitors flock to the islands today. Rum still has the second-largest liquor sales in the United States, trailing only slightly behind vodka. All this to say that rum is obviously a popular liquor. 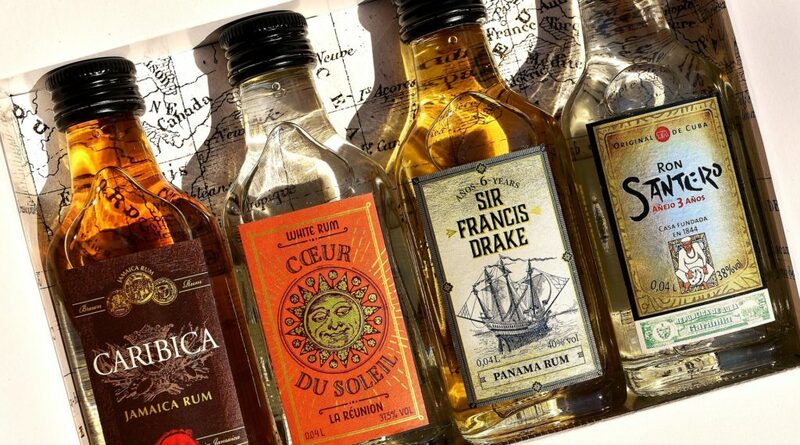 There are several types of rums out there, such as white, gold, dark, black, navy, and the list goes on. So where do you even begin? 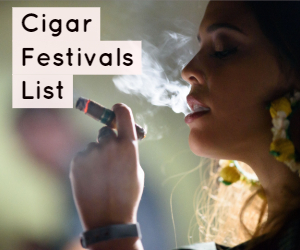 To help you along, here are some of our favorite rums right now, and you can trust us. We drink a lot here at Cigars & Leisure. 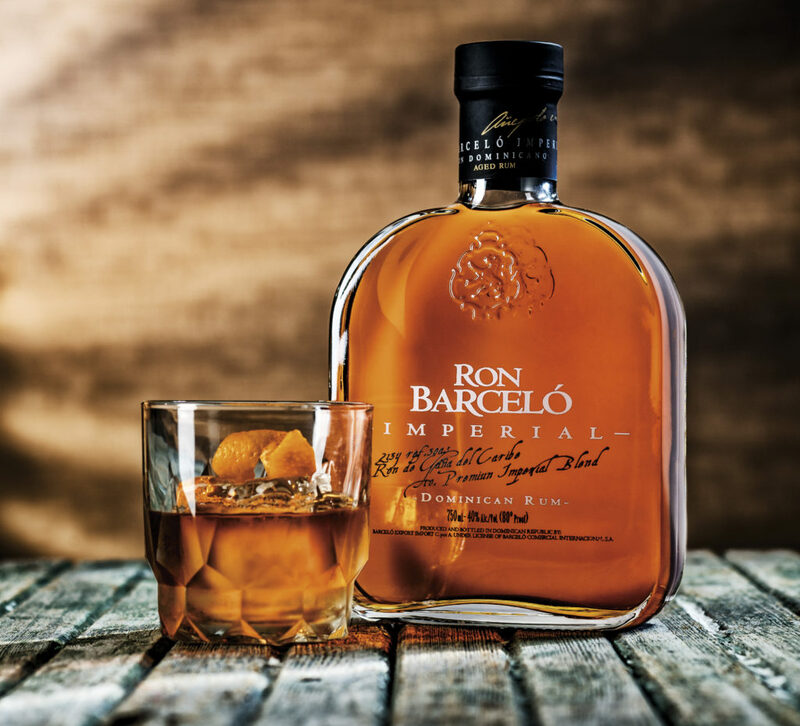 To start things off, we’re showcasing and reviewing Ron Barceló Imperial Dominican rum. Ron Barceló is celebrating its 87th anniversary this year, and it’s is the only Dominican rum distilled directly from the juice of fresh-cut sugar cane. This gives it a slightly sweet, smooth, and well-rounded taste. 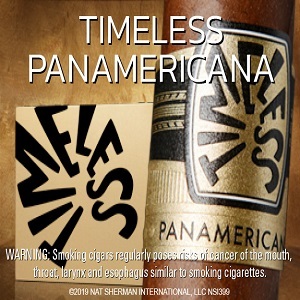 When you first open the bottle, a pleasant aroma of oaky, sweet vanilla hits your nose. This all was a pleasant surprise, as my previous experiences with rum were mostly from college, where I would buy $7 handles or would have a watered down, fruity cocktail from a beachside bar. This rum is superb. I tried it with Coke, orange juice, and on the rocks—all were delicious. And the best part is that this rum won’t break the bank. It runs around $28 dollars for 750 mL. And if you need to go a little cheaper, Ron Barceló also carries the Añejo and the Gran Añejo, which will only set you back about $18 or less for 750 ml. Mike Macdonald (publisher and resident tequila snob): My first experience with the Ron Barceló Imperial was drinking it straight from the glass, which is generally not how I’d like to drink rum. It offered a pleasant, sweet aroma that enticed the palate, but the initial taste was a little shocking as it hit the tongue (not helped, probably, by the fact Brian had me doing this at 9 a.m.), bringing out a strong licorice flavor that I wasn’t expecting. Kathryn Kyle (marketing director): my first impression was favorable with the attractive bottle presentation and the rum’s dark amber color. It was surprisingly less sweet than anticipated, with oaky undertones. If you are a bourbon enthusiast, put this on your list to sample. Want to try some for yourself? 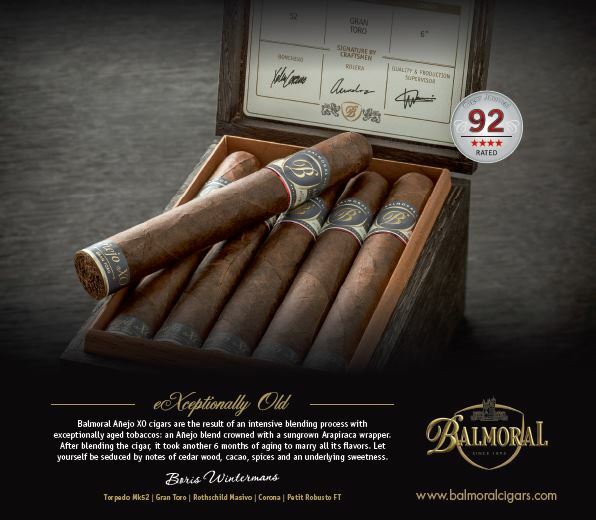 Ron Barceló is available from most retailers across the U.S., or you can visit ronbarcelo.com to learn more. 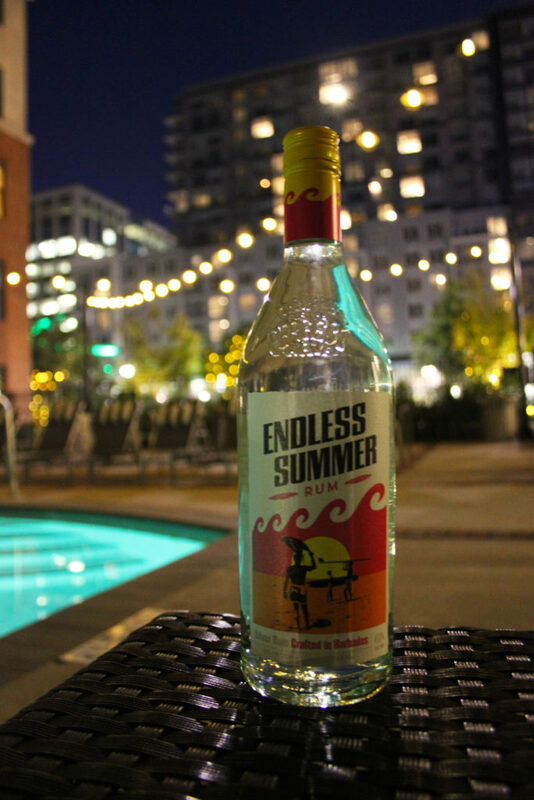 Let’s keep the sampling going with Endless Summer Rum by Grain & Barrel Spirits. Named after the iconic surfing movie of the same name, Endless Summer Rum parallels the movie’s “search for the perfect wave” with the “search for the perfect silver rum.” Distilled in Barbados, this rum uses a blend from two column stills, as well as a copper pot still to achieve the crisp, clean, and smooth qualities of silver rum. “When I think about rum, I think of sun, sand, and easy drinking with good friends. I wanted our new rum to capture those feelings,” said Matti Anttila, CEO and founder of Grain & Barrel Spirits. I can attest that it does, in fact, capture those feelings of an endless summer. Just like Ron Barceló, Endless Summer Rum does surprisingly well if you want to simply sip it straight with no mixer. The most favorable part is the hint of coconut that is very easy on the nose, unlike some of the bottom-shelf rums with their not-so-subtle notes of rubbing alcohol. I tried mixing it in Coke as well and really enjoyed the slight hint of coconut—no Malibu needed! Priced at just $14.99, this rum is very affordable. If you’d like to learn more, or order a few bottles, head over to grainandbarrel.com. White: This rum is usually aged for a limited amount of time and is typically used for mixed drinks when the visual presentation of the drink is important. The clear rum allows the vibrant color of the juice to be the focus of the cocktail. Gold: This rum is also aged for only a limited amount of time, but the gold rum has a much richer taste and more complexity of flavor. This is typically the rum of choice for the “Cuba Libre” or, as we know it, the rum and Coke. Aged: This rum is usually aged anywhere from four to 30 years, and just like with tequila and scotch, the aging process brings smoothness, depth, character, and drinkability. Ages rums are typically aged in old bourbon barrels, with the bourbon adding to the flavor. 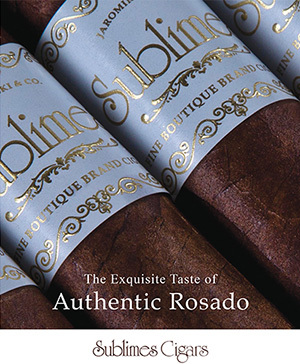 Need a gift for the rum lover in your life? Check this out.